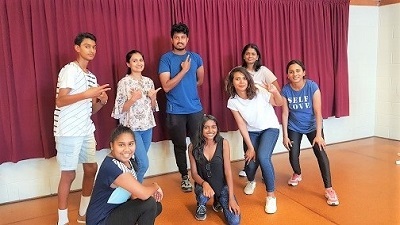 If you are passionate about learning South Indian folk dances along with film music as well as Bollywood, Hip Hop and Free Style, you should then consider enrolling at an Auckland School immediately. 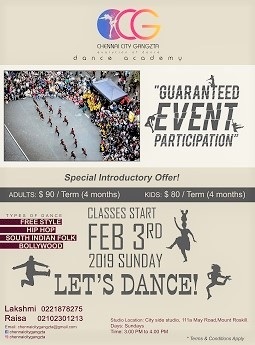 The ‘Chennai City Gangzta Dance Academy’ has announced that it will start fresh weekly lessons at ‘Cityside Dance Studio,’ located at 111A May Road, Mount Roskill from Sunday, February 3, 2019. Classes will be held on Sundays between 3 pm and 4 pm. Academy Director and Teacher Raisa Infreda said that there is substantial interest among the resident Tamil and other communities to learn a number of dance formats that are popular in South India in general and Tamil Nadu in particular. “We have been performing popular Tamil film songs at several events for the past few years and found abiding interest among people. While we will commence with film and folk songs, we propose to introduce typical Tamil dance forms in due course. These will include ‘Silambattam,’ ‘Karagattam,’ ‘Oyillattam,’ and ‘Thappattam.’ These formats are time-honoured dances of Tamil-speaking people, practiced in many other States in India. I am happy to attempt their practice in New Zealand and I am confident that there is will demand,” she said. Raisa said that audience response to the recent performances of ‘Karagattam’ and ‘Silambattam’ by her group were overwhelming, encouraging her to consider including them in her Dance School curriculum. Raisa is an IT professional with a postgraduate (Masters) degree in Engineering from the AUT University in Auckland. 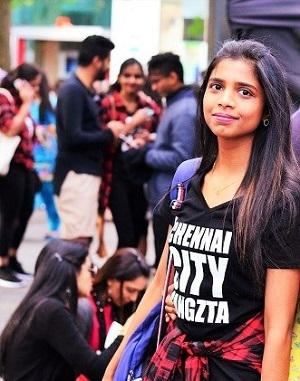 Passion for dance encouraged her to establish the ‘Indian Flocks Club’ at AUT in 2012 along with a group of youngsters who shared her passion for performing arts. “Our debut was at the Civic Theatre in 2012. The journey that began as ‘fun,’ has grown to become a professional group. It has been a very satisfying experience thus far. We have presented our performances at the Annual Auckland Diwali Festival continuously for the past six years,” she said. 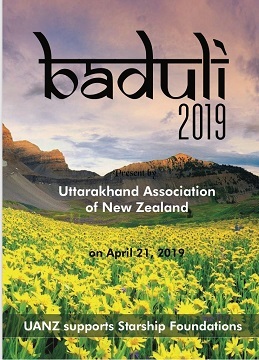 Raisa said that she began pursuing her passion for dance when she witnessed several groups performing Bollywood song and dance sequences and Bhangra throughout Auckland. “Surprisingly, South Indian dance groups were not seen much. I wanted to bring to stage dance styles of Tamil Nadu, its art forms, rich culture and heritage. There is huge potential,” she said. Raisa and her group also appear regularly at the events organised by the Auckland Muthamil Sangam and other associations. 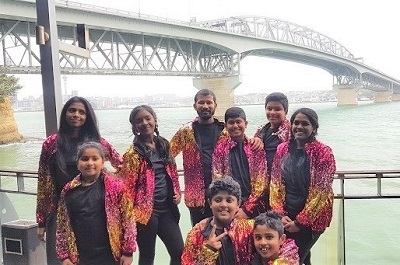 Their performances are due at the forthcoming Indian Republic Day Celebrations at (11 am) at the Mahatma Gandhi Centre on January 26, 2019, ‘‘Tamilar Thiruvizha’ (Tamilians Festival) of the Tamil Association of New Zealand at 5 pm at Mt Roskill War Memorial Hall on the same day (January 26) at an event organised by Auckland Tamil Association at 6 pm on February 9, 2019 and at the ‘Pongal Vizha’ organised by Auckland Muthamil Sangam at 6 pm at the Bucklands & Eastern Beaches War Memorial Hall, East Auckland on February 16, 2019.